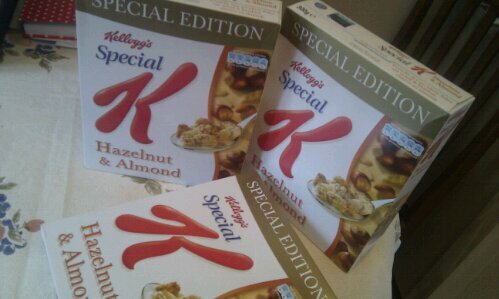 A Twitter Giveaway – Kellogg’s Special K Limited Edition! 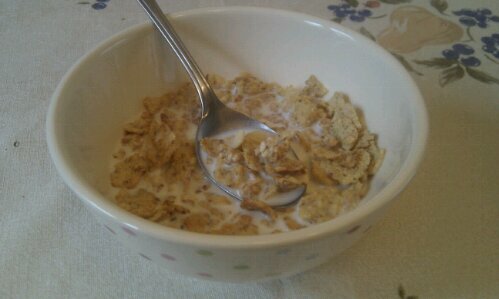 I love a good cereal for breakfast, in fact, I could eat cereal at any point of the day and my favourite is absolutely, most definitely Kellogg’s Special K. In the previous years, it has helped me through two pregnancies especially in the first months when nothing else would stay down and even now, I class it as one of my own personal comfort foods and sometimes have a bowl just before I go to bed! I’ve had my Special K with chopped banana, fresh strawberries, and I’ve even popped in some raisins from time to time but Kellogg’s themselves have gone one step further and better by adding deliciously crunchy hazelnut clusters and flaked almonds! This is a Limited Edition at the moment but will be available throughout stores later in the spring. The gorgeous Kellogg’s sent me a few boxes to sample and sample I have! The hazlenut clusters and flaked almonds give the cereal an added crunch along with all the usual goodness that Kellogg’s provide, and of course the best bit is that it is only 119 calories per 30g bowl!! As much as I really want to keep ALL the boxes to myself and slowly munch my way through them, I have decided to give a couple away to you lovely readers of my blog to share the yummy taste and to say thankyou for reading! The competition is open to the UK and ROI only and the 2 winners will be contacted via Twitter Friday 9th March. All words and opinions are my own. Good Luck!